Gordon Graham is Director of the Edinburgh Sacred Arts Foundation, and Emeritus Professor of Philosophy and the Arts at Princeton Theological Seminary in the USA. Born in Ireland and educated in Ireland, Scotland and England, he taught philosophy in Scotland at the University of St Andrews (from 1975-95). He was Regius Professor of Moral Philosophy at the University of Aberdeen (from 1996-2006) before taking up his post in Princeton. He has published on a wide range of philosophical topics relating to art, education, ethics, politics, religion, and technology. He has a special interest in the Scottish philosophical tradition, and was founding Editor of the Journal of Scottish Philosophy. 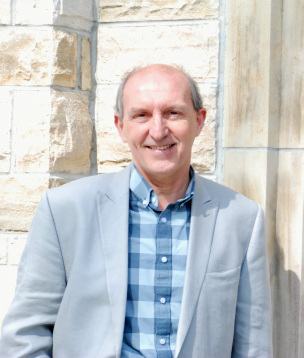 From 2007-2018, he was Director the Center for the Study of Scottish Philosophy at Princeton, now succeeded by the Institute of Scottish Philosophy at the University of Sioux Falls. In 1999 he was elected to a Fellowship of the Royal Society of Edinburgh, Scotland's premier academy of science and letters. He was Director of The Abraham Kuyper Center for Public Theology from 2008-2015, and headed the Theology dimension of the Varieties of Understanding Project which ran from 2013-16. An Anglican priest ordained in the Scottish Episcopal Church, he was licensed in the Episcopal Diocese of New Jersey from 2007-2018, and now serves in the Diocese of Edinburgh. In 1990 he was Sheffer Visiting Professor of Religion at The Colorado College, and in 2005 Stanton Lecturer in Philosophy and Religion at the University of Cambridge. Gordon Graham was Director of the St Andrews University Music Centre from 1991-5, taught as an Adjunct Professor of Sacred Music at the Westminster Choir College in 2010-12, and in 2018 directed an Edinburgh Festival of the Sacred Arts in the Fringe. He has written several hymn and anthem texts. Two, set to music by the composer Paul Mealor -- Lux benigna' and 'Anthem to St David -- have been published by Novello. This website has information on his appointments, activities and publications in philosophy, religion and the church, music and the arts, as well as a link to publications and papers. Gordon Graham is a Trustee of Soko Fund which promotes the education of women in Malawi, and was a founding Trustee of the Friends of the Soko Fund, a US based 501 c (3) support group that ran from 2013-18.